It has been a lifelong dream to tour Chichen Itza. The ruins were very interesting. Flew in a light aircraft to Chichen Itza which was well worth paying the extra for. Flew in a light aircraft to Chichen Itza which was well worth paying the extra for. Well organised and an amazing site to visit. The tour and the company that provided it were excellent. We did the Climb the Coba Pyramid and Cenote Swim excursion and it was great! We did the Climb the Coba Pyramid and Cenote Swim excursion and it was great! Our tour guide, Carlos, was knowledgeable and entertaining and the bus ride to/from the different locations afforded wonderful views of mainland Mexico. The ruins were incredible, a must see. Chichen Itza is a breathtaking, bucket list tour. Hot-warm and sunny in February loved it. A short drive on an air conditioned bus, and we were at the Mayan ruins! 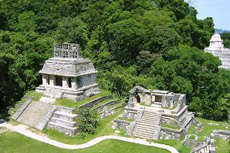 We did the Legacy of the Maya, San Gervacio Ruins and Chocolate Factory. I&apos;d live nearby if possible, this location is so beautiful. This was our most disappointing excursion and I believe our most expensive. We went to Chichen Itza which was one of the bucket list things we wanted to do and it did not disappont. It is a long trip there and back but you can&apos;t do anything about that. It was the best. Our guide grew up on the site and was part of the excavation team. We could not have had a more knowledgeable guide. Awesome! Chichen Itza - long long ways but really worth seeing. This was a very interesting and informative tour. This was a very interesting and informative tour. We had a blast but probably not the most enjoyable for kids. Cost us more than $180.00 each. We chose an excursion that was a bit of an overview of the area.